Both zap2it.com and ew.com are reporting that FOX has picked up Glee for a third season before its freshman season has even wrapped up. While I still waiting until FOX announces the news via an official press release, this is some pretty good news for Gleeks worldwide. Some initial reaction on the web is this might be a premature move since no one knows how successful season 2 is going to be, and some people are already pointing out how the back-9 of season 1 have already started a downward turn. I agree that the show's spring season has not been as good as its fall premiere, but I don't view its lack of punch as the beginning of the end. I'm sure Ryan Murphy & Co. spent tons of time putting together a solid 13-episode arc in order to give fans a satisfying season even if the show was not picked up for a full-order. If you watch the first 13 episodes from start to finish, it has a full season vibe to it, and "Sectionals" was set up to be a possible series finale just in case FOX passed on the show. Not many network shows would structure a season this way, but it was genius in my opinion. If Glee had been a trainwreck, we would at least have a pretty decent collection of 13 episodes that had a beginning, middle, and an end. The back-9 pick up changed things. I don't think the show creators went in thinking they wouldn't get a full-order pick up, but nothing is certain when it comes to TV. I'm sure when FOX ordered the final 9 episodes, Murphy had and idea of what those episodes would look like, but his team didn't have the time or luxury to make these new episodes as solid as the first 13. Fast tracking the back-9 is probably why these new episodes are not as strong as the former. Now, Glee has an entire summer to work on putting together another solid 22-episode season, and I'm confident that this extra time will give them the chance to create a tighter season with storyarcs that will be a thread throughout the entire run. I'm sure we'll be getting a strong sophomore season of Glee that will justify a third season pick-up. Some feel that Glee will face the trials and tribulations that nag all high school based shows, and that is how to keep the show fresh and believable since high school is such a dynamic time. People are already afraid that the show will not be able to handle the challenges of either rotating characters out while bringing newbies in, or keeping the original characters around in a believable way. I'm not too worried because the show really revolves around Will and Rachel. Will can be around for years since he's a teacher, and Rachel is only a sophomore, so Lea Michele could easily be around for at least two more seasons (assuming each season is a school year). The only character that could be tricky is Finn since we're led to believe that he's older than Rachel, and might not be able to be around for a third season. The truth is a high school show can still be creatively fresh and successful if it can figure out how to transition new characters into the universe. Friday Night Lights was able to give its old characters believable exits while introducing new faces because the core has always been Coach Taylor and his family. If Shu can be Glee's version of Coach Taylor, things should be fine for the show. 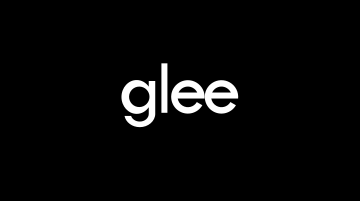 While I do think Glee will figure out how to incorporate new characters, I do hope the creators are able to pace themselves in order to keep the stories fresh in order to keep fans coming back for more. Some are predicting that Glee is a flash in the pan like Heroes, which really isn't fair since the two shows are different and Heroes was impacted by the WGA Writer's Strike, but if it cannot keep the fans interested with creative storylines then they might have similar fates.